Want to cuddle a koala? Have a kangaroo eat out of your hand? Pat a wallaby? See Tasmanian devils cuddling? Well - does Mamma have the place for you! This AMAZING wildlife sanctuary is somewhere you absolutely have to add to your must-do list! There is so much to see here, and the sanctuary itself is simply stunning. Set on a 25-acre biopark, in the heart of Mornington Peninsula, is this tree-filled, wildlife haven. 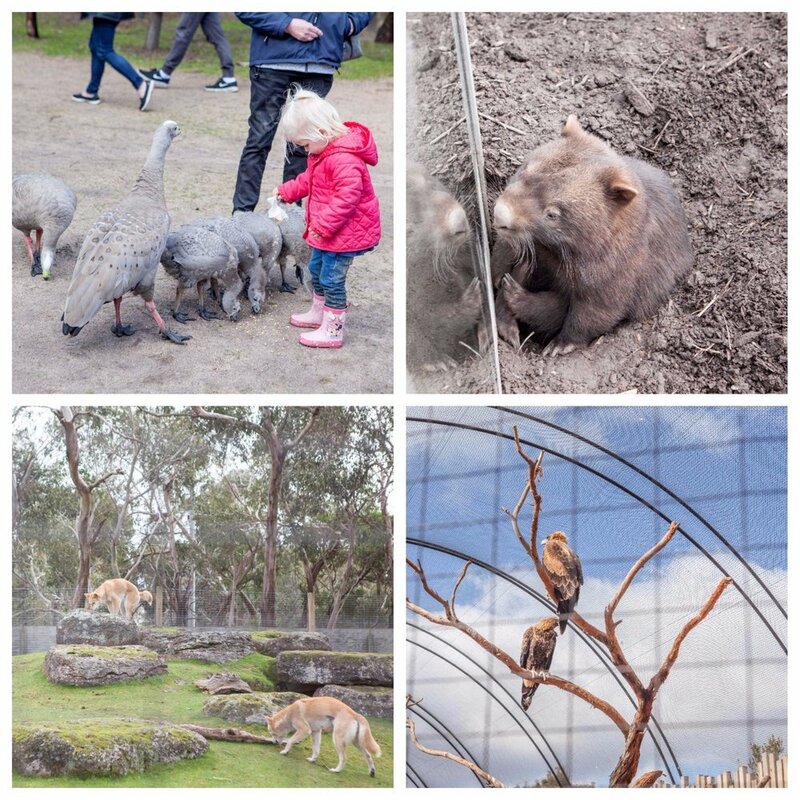 Kangaroos, wallabys, ducks and all-sorts of birds, freely roam the path, stopping at your feet to literally eat of your hands (bags of food are included in entry price). For an extra fee, you can have the incredible encounter of cuddling a koala! This Mamma could not resist the opportunity to stroke its surprisingly soft fur, as he lazily munched on some leaves. This experience was super cool, and I highly recommend doing it if you can! There are Tasmanian devils, seriously gorgeous wombats, owls, eagles, lizards, tortoise, snakes, spot tail quolls, dingos - and lots of beautiful birds. There's also an option to have a Night Tour, so you can see another perspective of this wonderful place. Family membership for a whole year; a personal behind the scenes tour or become an animal sponsor for year. There are lots of tables and areas to have a picnic lunch, as well as a small cafe on site. Mamma's tip - if you go in colder months - make sure to wear gumboots as it gets very muddy!